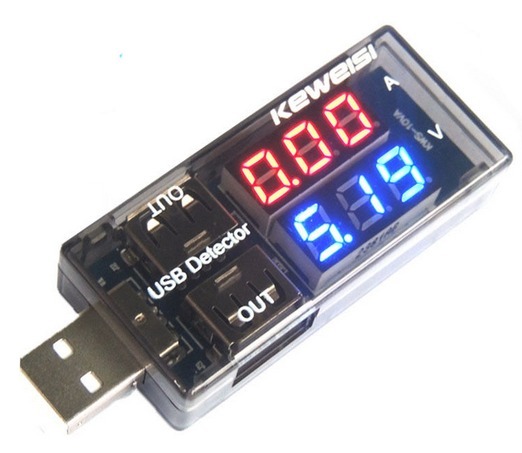 Use the USB Charger Doctor Pro to measure the voltage and current output for any USB port and project. This black plastic dongle plugs between a USB device, and passes the data lines through. The Doctor's digital display shows both the USB Voltage and the current draw at the same time. This in-system programmer can be used to program AVR microcontrollers and AVR-based controller boards. 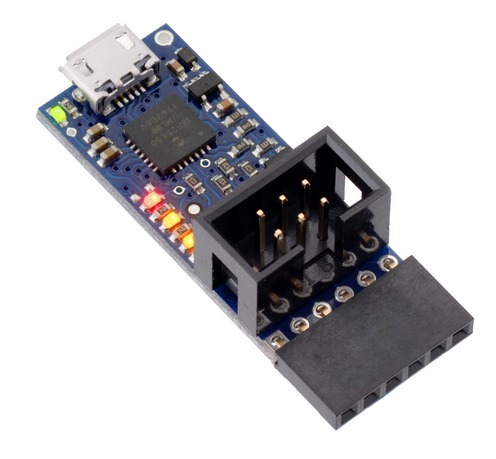 The programmer emulates an STK500 on a virtual serial port, making it compatible with standard AVR programming software, and it supports devices running at either 3.3V or 5V.